View the entire table of contents for the Dec. 15, 2003 issue. After a heated bidding war this fall, the Switzerland-based Hess Group is taking control of Peter Lehmann Wines, the first Australian brand to be added to its wine portfolio. Hess offered stakeholders A$4 per share -- valuing the Barossa Valley winery at more than US$103 million. 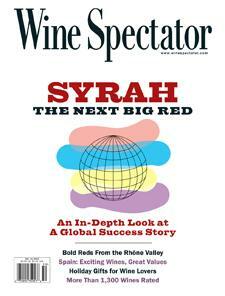 For the full article, check out the new issue of Wine Spectator, on newsstands December 15, 2003.